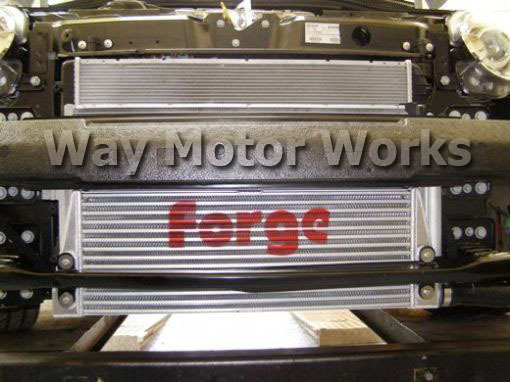 Forge Intercooler for Fiat Abarth 2012+. 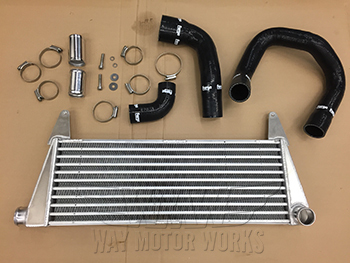 This Forge front mount intercooler is the best available as it replaces the original dual intercoolers and all the original piping with a single front mount intercooler. This intercooler hangs directly in front of the radiator allowing it to get as much air as possible to cool the air charge and make as much power as possible.